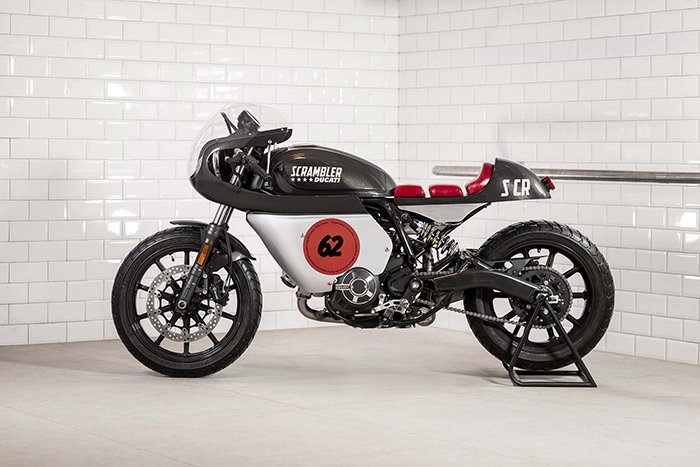 The Scrambler Ducati crew recently announced a new addition to their ever expanding line at EICMA last November, when they debuted their new 400cc “Sixty2” model. It didn’t take long for them to get a few bikes into the hands of some of their favorite builders. While all were all pretty cool in their own right, there was one in particular that really caught our eye; the “Peace Sixty2” pictured here, built by Mr. Martini of Verona, Italy. 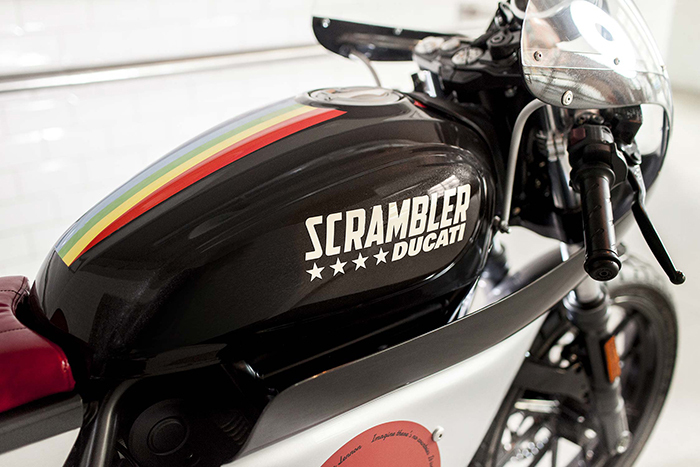 Nicola Martini has a certain flair about him and he rarely builds bikes that are subtle. While his “Peace Sixty2” is not quite subtle either, it is neatly composed and clean overall. After reflecting back on Martini’s builds, we might have to conclude with this being our favorite build of his so far! Interesting seat design. Wonder if it’s comfortable? Unwilling to forgo some of his signature flair, Nicola added a rainbow racing stripe down the tank and tail section. Other than that, the bike is pretty tidy and we feel the 60’s-inspired fairing works pretty damn well on this little 400. 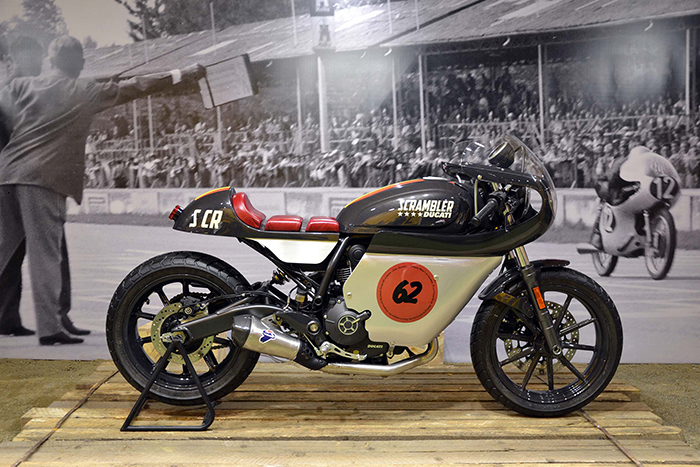 A 400cc racer might be an odd combination but we can’t stop ourselves from wanting one. How about you? 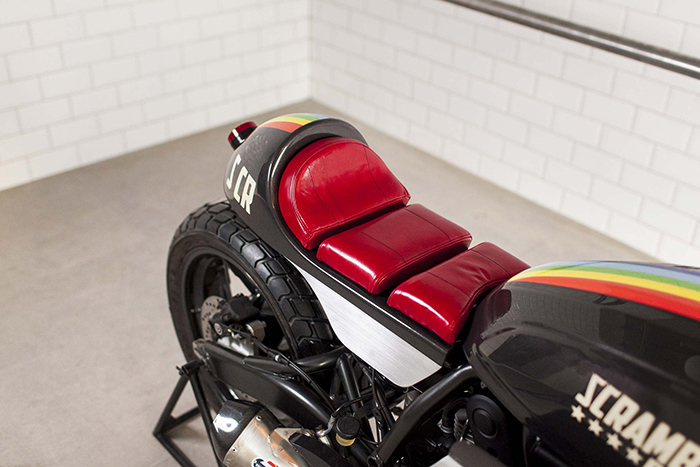 Is this a bike you’d want in your garage?